Houston Every four years, even people who don't normally care about soccer find themselves drawn into the World Cup, because it's exciting as hell, and also because the NFL doesn't start for months. But even if the other football isn't normally your thing, you can get behind going to bars at odd times of the day, right? 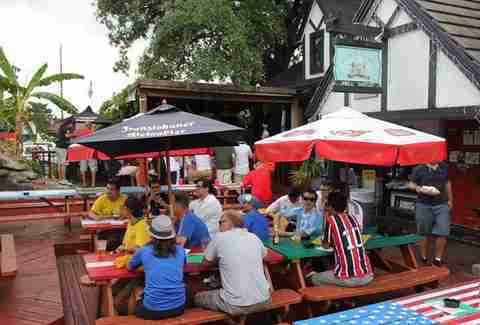 Here are five Houston spots primed for your World Cup viewing pleasure. 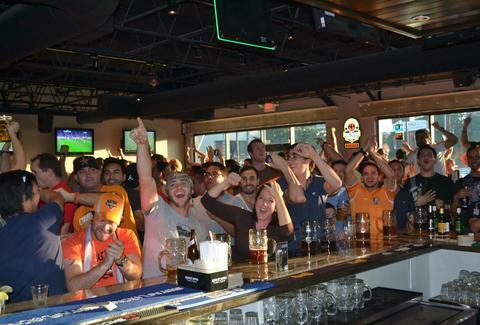 Get rowdy with your fellow fútbol fanatics at Midtown’s favorite Euro-style sports pub. Das specials include $10 brats and half-liter Hofbraus on Mondays, $3 German pints on Wednesdays ‘til 8pm, and $8 full liters on Fridays ‘til 7pm. Of course, depending on how your team is doing, you can always do a Das Boot, then immediately regret your decision. Follow them on Facebook or Twitter for updates on early opens. This old-school British pub is showing every game on the big screen TVs. 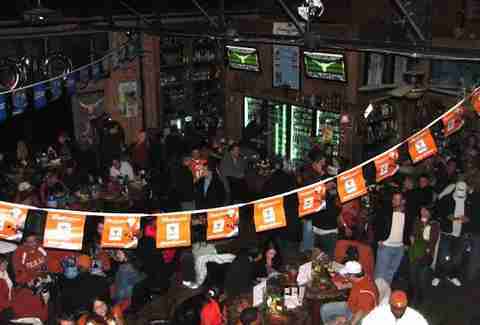 Doors open at 9am for 10:30am games and the bar is bound to get packed, so show up early if you want a prime seat. Every game you attend earns you a chance to win prizes and paraphernalia, including signed jerseys, soccer balls, and more. See the schedule here. 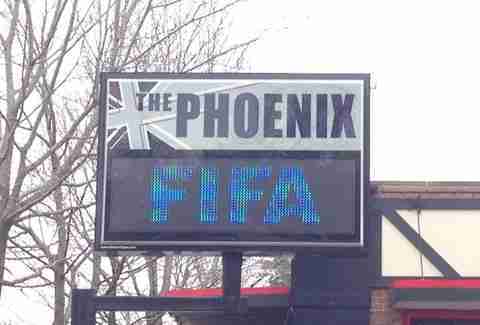 Formerly known as Firkin & Phoenix, this British sports pub will be playing all of the WC games. They even host World Cup Trivia. Get fish ‘n chips, hunter’s pie, and plenty of drafts while you get your WC on. 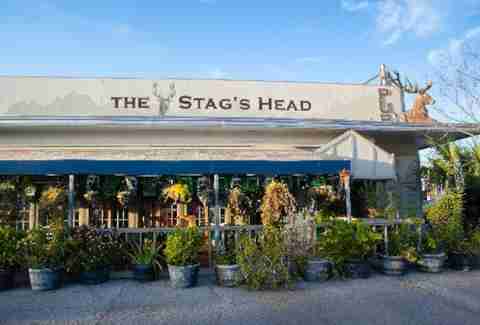 Check the schedule and specials here. 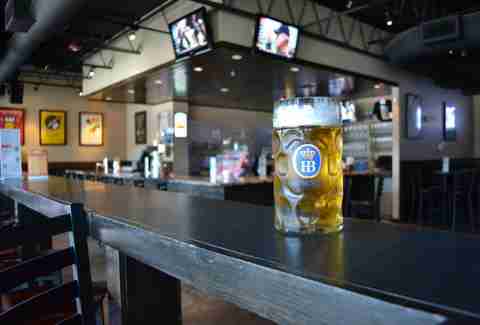 Take down craft beer and killer wings as you enjoy the games on the big screen at one of Houston’s biggest and hottest sports bars. There’s plenty of seating for any size group, but show up early, as the house is sure to get packed. Check their Facebook or Twitter for schedules and specials. Every action-packed game will be televised at this authentic British pub, which pours the best pint of Guinness in all the land (or at least in all of Houston). Check here for the FIFA schedule and follow them on Facebook or Twitter for updates on specials.